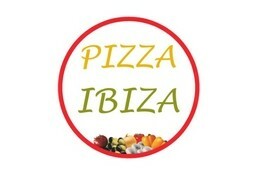 Pizza Ibiza is currently closed for delivery and it will open at 10:00 AM today . Lettuce, Black Olives, Grill Chicken, Crotons, Parmesan With Tasty Caesar Dressing. Tomato Sauce, Fresh Italian Mozzarella & Beef Pepperoni, Oregano. Spaghetti With Italian Style Fresh Tomato And Basil On Top. Special Italian Rice & Mix Seafood With Tomato Sauce. Crispy Toasted Bread, Selected Vegetable & Cheese. Crispy Toasted Bread With Garlic & Butter. Crispy Toasted Bread With Cheese, Garlic & Butter. Carrot, Tomato, Cucumber, Green Capsicum, Lettuce With Vine Grate. Lettuce, Cucmber, Tomato, Black Olives, Red Onion With Feta Cheese On Top. Oregano, Mix Salad, Fresh Tomato & Buffalo Mozzarella With Pesto Sauce. Mix Salad And Mix Seafood With Lemon Oil Dressing. Crispy Iceberg Lettuce With Cherry Tomato, Cucumber, Carrot, Black Olives, Buffalo Mozzarella And Sweet Corn. Tomato Sauce, Fresh Italian Mozzarella & Basil On Top. Tomato Sauce, Fresh Italian Mozzarella, Black Olives, Broccoli, Mushroom & Green Capsicum. Tomato Sauce, Fresh Italian Mozzarella, Buffalo Cheese, Cherry Tomato & Basil. Tomato Sauce, Fresh Italian Mozzarella, Zucchini, Broccoli, Olives, Sweet Corn & Cherry Tomato. Tomato Sauce, Fresh Italian Mozzarella, Marinated Chicken Tikka, Onion And Green Capsicum. Cremi Sauce, Fresh Italian Mozzarella, Mushroom, Grill Chicken & Parmesan Cheese. Tomato Sauce, Fresh Italian Mozzarella, Chicken Grill, Onion, Fresh Tomato & Green Capsicum. Tomato Sauce, Mozzarella, Tukey Ham & Fresh Pineapple. Pepperoni, Artichokes, Mushroom, Sweet Corn, Minced Beef, Smoked Chicken & Onion. Pepperoni, Minced Beef, Smoked Chicken, Turkey. Tomato Sauce, Fresh Italian Mozzarella, Pepperoni, Fresh Mushroom, Sausage & Black Olives. Tomato Sauce, Fresh Italian Mozzarella, Bbq Chicken, Green Capsicum, Pepperoni With Bbq Sauce On Top. Tomato Sauce, Fresh Italian Mozzarella, Tuna, Onion, Capers & Black Olives. Tomato Sauce, Fresh Italian Mozzarella & Mix Seafood. Tomato Sauce, Fresh Italian Mozzarella, Shrimps, Zuccini & Sweet Corn. Tomato Sauce, Fresh Italian Mozzarella, Turkey, Grill Chicken, Chicken Sausage & Jalapeno. Penne Pasta & Turkey Ham, Egg Yolk, Parmesan Cheese With Creamy Sauce. Bolognaise Sauce With Penne Pasta. Spaghetti, Mix Seafood With Tomato Sauce. Penne Pasta With Tomato, Chilly, Garlic & Black Olives. White Sauce With Shrimps And Zucchini. Spaghetti Pasta With Pesto Sauce, Parmesan Cheese. Layer Of Pasta With Bechamel Sauce & Bolognaise. Layer Of Pasta With Bechamel Sauce With Mushroom And Chicken. Arrabiata / Alfredo Baked In Oven With Mozzarella Cheese. Special Italian Rice With Fresh Mushroom. Special Italin Rice With Chicken & Saffron. Grill Chicken Served With Mix Soutee Vegetables And Mushroom Sauce. Norwegian Salmon Fillet With Soutee Vegetable And Lemon Oil Sauce. Any Large One Pizza Of Your Choice With 2 Pcs Of Garlic Bread, Two Soft Drinks & Green Salad. 2 Any Large One Pizza Of Your Choice With 4 Pcs Of Garlic Bread, 2. 25 Ltr Bottle Of Soft Drink & Green Salad. 3 Any Large One Pizza Of Your Choice With 6 Pcs Of Garlic Bread, 2. 25 Ltr Bottle Of Soft Drink & Green Salad.